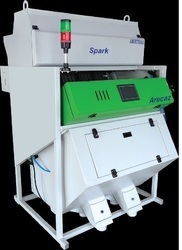 We are the leading manufacturer, supplier and exporter of Seed Sorting Machine, Boiled Rice Color Sorter and many more. These machines are made superior quality materials under the supervision of our experts. Our products are recommended by our prestigious clients for their hassle free performance and low maintenance quality. We are the most trusted name in the industry offering a wide assortment of Cashew Sorting Machine. Our offered products are made with superior quality raw material for high durability and efficiency. They are recommended for the bother free execution and robust structure appropriate to carry out heavy duty performance. Cashew Sorting Machine undergo various tests under rigorous condition for quality assurance at our end. 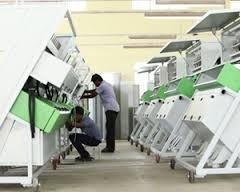 Our Cashew Color Sorter Machines are Exclusively Designed by our own R&D for Cashew Processing Industries, keeping pace with challenging demands in Cashew Industries. Machines are very well capable of delivering High Accuracy with Efficient Results. Our Cashew Color Sorter Machines are the best suitable and PERFECT COLOR SORTING SOLUTION to all Cashew Processing Industries. Specially designed to avoid Cashew Breakages / Damages. 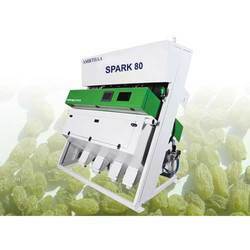 We are the most trusted name in the industry offering a wide assortment of Raisin Sorting Machine. Our offered products are made with superior quality raw material for high durability and efficiency. They are recommended for the bother free execution and robust structure appropriate to carry out heavy duty performance. Raisin Sorting Machine undergo various tests under rigorous condition for quality assurance at our end. We are the most trusted name in the industry offering a wide assortment of Plastic Sorting Machine (Plastics Color Sortex). Our offered products are made with superior quality raw material for high durability and efficiency. They are recommended for the bother free execution and robust structure appropriate to carry out heavy duty performance. Plastic Sorting Machine undergoes various tests under rigorous condition for quality assurance at our end. 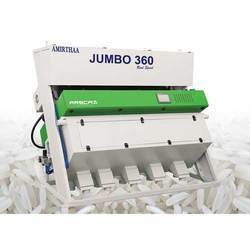 Exclusively Designed and Manufactured for Recycle Plastics Industries – Both For GRANULES AND FLAKES in a SINGLE MACHINE. We are among the leading manufacturer, supplier and exporter of Cashew nut Sorting Machine. These machines are precisely designed by our expert professionals according to the set industrial standards. 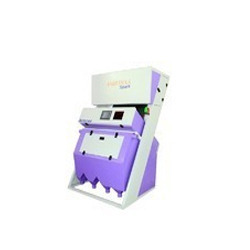 These machines are made with fine quality raw material making them highly durable and efficient. We have earned prestigious name in the industry in manufacturing, supplying and exporting of wide range of Rice Sorting Machine. These machines are made with finest raw material available to make them corrosion resistant and long lasting. Our prestigious customers recommend these products for their durability and efficiency. We are among the leading manufacturer, supplier and exporter of Wheat Sorting Machine. These machines are precisely designed by our expert professionals according to the set industrial standards. These machines are made with fine quality raw material making them highly durable and efficient. 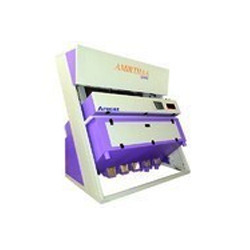 We are among the most trustworthy names in the industry engaged in manufacturing, supplying and exporting of wide range of Dal Sorting Machine. These machines are made with finest quality raw material making them durable and resistant of corrosion. We are offering these products are market leading rates. We are among the leading name engaged in manufacturing, supplying and exporting of Boiled Rice Color Sorting machine. These products are highly recommended for their hassle free maintenance and high functionality. These products are available in various designs and specifications made with optimum quality raw materials as per the national and international quality standards. We are among the leading manufacturer, supplier and exporter of Tea Leaf Sorting Machine. These machines are precisely designed by our expert professionals according to the set industrial standards. These machines are made with fine quality raw material making them highly durable and efficient. 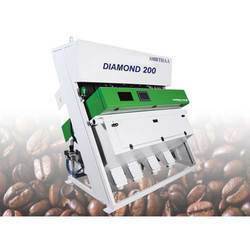 We are among the leading manufacturer, supplier and exporter of Sunflower Seeds Sorting Machine. These machines are precisely designed by our expert professionals according to the set industrial standards. 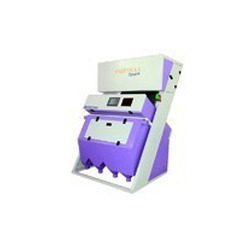 These machines are made with fine quality raw material making them highly durable and efficient. We are the most trusted name in the industry offering a wide assortment of Kalonji Sorting Machine. Our offered products are made with superior quality raw material for high durability and efficiency. They are recommended for the bother free execution and robust structure appropriate to carry out heavy duty performance. Pepper Sorting Machine undergo various tests under rigorous condition for quality assurance at our end. We are the most trusted name in the industry offering a wide assortment of Sesame (Til) Sorting Machine. Our offered products are made with superior quality raw material for high durability and efficiency. They are recommended for the bother free execution and robust structure appropriate to carry out heavy duty performance. Pepper Sorting Machine undergo various tests under rigorous condition for quality assurance at our end. 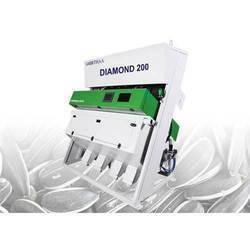 We are the most trusted name in the industry offering a wide assortment of Almond (Badam) Sorting Machine. Our offered products are made with superior quality raw material for high durability and efficiency. They are recommended for the bother free execution and robust structure appropriate to carry out heavy duty performance. Pepper Sorting Machine undergo various tests under rigorous condition for quality assurance at our end. 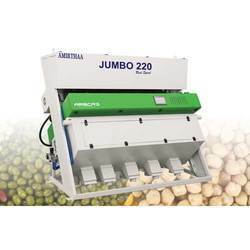 We are the most trusted name in the industry offering a wide assortment of PEANUT / GROUND NUT SORTING MACHINE Sorting Machine. Our offered products are made with superior quality raw material for high durability and efficiency. They are recommended for the bother free execution and robust structure appropriate to carry out heavy duty performance. Cashew Sorting Machine undergo various tests under rigorous condition for quality assurance at our end. 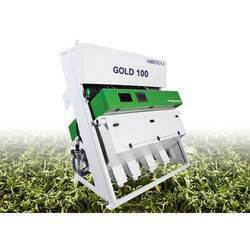 We are the most trusted name in the industry offering a wide assortment of Methi Sorting Machine. Our offered products are made with superior quality raw material for high durability and efficiency. They are recommended for the bother free execution and robust structure appropriate to carry out heavy duty performance. Cashew Sorting Machine undergo various tests under rigorous condition for quality assurance at our end. We are the most trusted name in the industry offering a wide assortment of Garlic Sorting Machine. Our offered products are made with superior quality raw material for high durability and efficiency. They are recommended for the bother free execution and robust structure appropriate to carry out heavy duty performance. Cashew Sorting Machine undergo various tests under rigorous condition for quality assurance at our end. 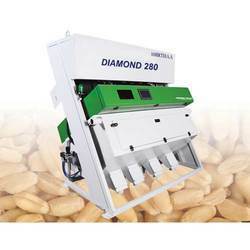 We are the most trusted name in the industry offering a wide assortment of Groundnut Sorting Machine. Our offered products are made with superior quality raw material for high durability and efficiency. They are recommended for the bother free execution and robust structure appropriate to carry out heavy duty performance. Cashew Sorting Machine undergo various tests under rigorous condition for quality assurance at our end. 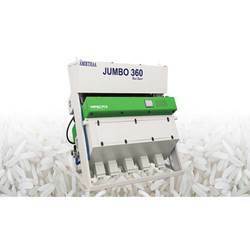 We are the most trusted name in the industry offering a wide assortment of KusKus Sorting Machine. Our offered products are made with superior quality raw material for high durability and efficiency. They are recommended for the bother free execution and robust structure appropriate to carry out heavy duty performance. Cashew Sorting Machine undergo various tests under rigorous condition for quality assurance at our end. We are the most trusted name in the industry offering a wide assortment of Food Grade Sorting Machine. Our offered products are made with superior quality raw material for high durability and efficiency. They are recommended for the bother free execution and robust structure appropriate to carry out heavy duty performance. Cashew Sorting Machine undergo various tests under rigorous condition for quality assurance at our end. 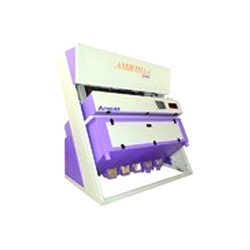 We are the most trusted name in the industry offering a wide assortment of Gram Sorting Machine. Our offered products are made with superior quality raw material for high durability and efficiency. They are recommended for the bother free execution and robust structure appropriate to carry out heavy duty performance. Pepper Sorting Machine undergo various tests under rigorous condition for quality assurance at our end. We are the most trusted name in the industry offering a wide assortment of FriedGram Sorting Machine. Our offered products are made with superior quality raw material for high durability and efficiency. They are recommended for the bother free execution and robust structure appropriate to carry out heavy duty performance. Pepper Sorting Machine undergo various tests under rigorous condition for quality assurance at our end. We are the most trusted name in the industry offering a wide assortment of Grain Sorting Machine. Our offered products are made with superior quality raw material for high durability and efficiency. They are recommended for the bother free execution and robust structure appropriate to carry out heavy duty performance. Pepper Sorting Machine undergo various tests under rigorous condition for quality assurance at our end.